A career as a pharmacy technician is a rewarding one. It will provide opportunities to work alongside a licensed pharmacist to prepare and dispense prescriptions to customers in hospitals, retail pharmacies, department stores, grocery stores, nursing homes, and assisted living facilities. Pharmacy technician training programs give students the knowledge base and technical skills to fill prescriptions, label and store supplies, maintain patient profiles, and manage the overall operation of the pharmacy. Graduates are prepared to take a national certification exam to become a Certified Pharmacy Technician and work in a hospital, home infusion and community pharmacies. To fill prescriptions according to doctors’ orders, technicians must have the technical skills to retrieve drugs in the correct dosage form, measure the suggested amount, and label the package. Some technicians have the competency to prepare admixtures for intravenous use. 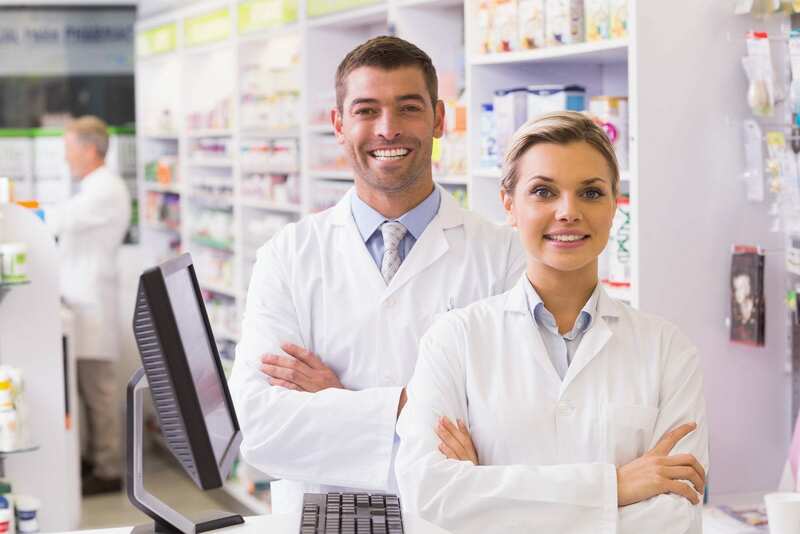 As the demand for prescription medications grows in response to the prevalence of chronic illnesses, employment for pharmacy technicians is expected to increase substantially. The pharmacy technician program at CNU Medical Institute provides the student with the knowledge base they need to become a certified Pharmacy Technician. Course topics include medication classification, medication administration, consequences, aseptic techniques, IV administration, pharmacy, drugs and their effects, inventory control, dosage calculations, and contra-indicators. Students will complete the program in 16 weeks. Applicants must provide a valid social security number, provide documentation of a TB shot and a hepatitis B shot, and a copy of their state ID or driver’s license or a utility bill. New Horizons Medical Institute trains pharmacy technician students for employment in a hospital, retail, or large pharmacy chain store. 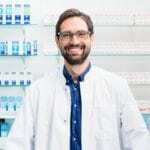 Students will learn the basic aspects of the pharmacy operation, such as reading, filling and distributing prescriptions, maintaining records, handling certain categories of drugs, calculating dosages, managing inventory. They also learn medications, pharmaceutical agents, and common drugs and their side effects. At the conclusion of the program, students will understand medical and pharmaceutical terminology, federal and state laws that govern practice, communicate effectively with patients and medical professionals, and be ready to practice at the highest standards of professionalism. Course topics medical terminology, introduction to pharmacy, medical anatomy and physiology, pharmacy ethics and procedures, pharmacy drug therapy and treatment, intravenous admixture and sterile compounding, pharmacy ethics and procedures, and pharmacy technician externship. Students complete 440 program hours in 16 weeks. Prospective students must complete the TABE with a score of 8.0 or higher, have a highs school diploma or GED, a driver’s license and a social security card. Tuition costs $4,015. Books, CPR, certification exam fee, and registration cost an additional $605. North Georgia Technical College prepares pharmacy technician students for the intriguing profession of pharmaceuticals. Students have a choice of enrolling in the diploma or associate degree track. The curriculum emphasizes hands-on training in sterile preparation, dispensing medications, pharmaceutical calculations, pharmacology, pharmacy software and much more. It also covers basic operations such as maintaining files and records, procuring and storing pharmaceutical materials, pouring, weighing and measuring dosages, and handling soluble drugs and chemicals. The associate degree prepares students for entry-level employment in a retail or hospital-based pharmacy. Students enrolled in the diploma program learn to perform a variety of tasks related to the preparation and dispensing of drugs under the direction of a registered pharmacist. To graduate from the associate degree program, students must complete at least 65 credits. Diploma students must complete 56 credits. Applicants must have a high school diploma or GED, be 16 years or older, and complete a placement test or provide SAT or ACT scores not older than five years. Additional requirements include a physical exam and immunization record, professional liability insurance, a negative criminal background check. Students must maintain a GPA of 2.0 or better and register with the Georgia Board of Pharmacy before the clinical rotation. All graduates can take the PTCB exam to become Certified Pharmacy Technicians. Tuition for the program is $5,448. Books and supplies cost an estimated $1,429. Persons interested in enrolling the pharmacy technician program at Gwinnett Technical College must first register for the medical classes information session. The pharmacy technician program is a comprehensive 50-hour course that prepares students for the PTCB exam. Students learn IV flow rates, dosage calculations, drug compounding, generic and brand names, reading and interpreting prescriptions, medical terminology, dose conversions, inventory control, and billing and reimbursement. Persons interested in the program should have taken high school math and science. Tuition for the program is $1,099. It includes books and materials.